Attractive New Design.Multiple Colour Options10-12 Ltr. Storage. 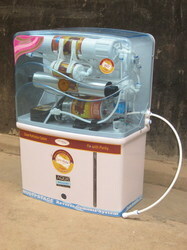 We are leading manufacturer and supplier of Aqua Grand Plus RO Cabinet. We are engaged in putting forth a highly durable range of RO Cabinet. These RO cabinets remove the dissolved impurities and make water safe for drinking as well as cooking. 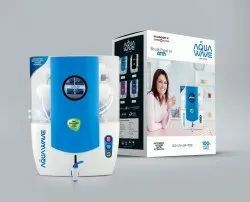 We have been able to offer our clients a qualitative range of Aqua Grand Reverse Osmosis Cabinets. Aqua Fresh Dolphin Cabinet body only. In series of delivering quality approved gamut of Compact RO Cabinet which is presented in diverse specifications. Our product is available in dissimilar configurations and that can modify as per the necessities of the patrons. In addition, we present this product at low rate to our patrons. 3. Water Storage Capacity: 11- 12 ltr. 5. Additional Features: 7 Stage machine space area.